Tucked away in the Highlands area of The Meadows youll find Chatsworth Greene, a beautifully canopied and most desirable enclave of maintenance-free villas. A paver driveway and gated courtyard welcome you home. Inside, you will love the cheerful ambiance with high troweled ceilings, open floor plan and walls of glass with beautiful, tranquil views! All, a half a block from the heated community pool and a short ride to the club! The optional Meadows Country Club offers golf, a top tennis complex, a Jr. Olympic swimming pool, fitness center, pro shops and dining venues. 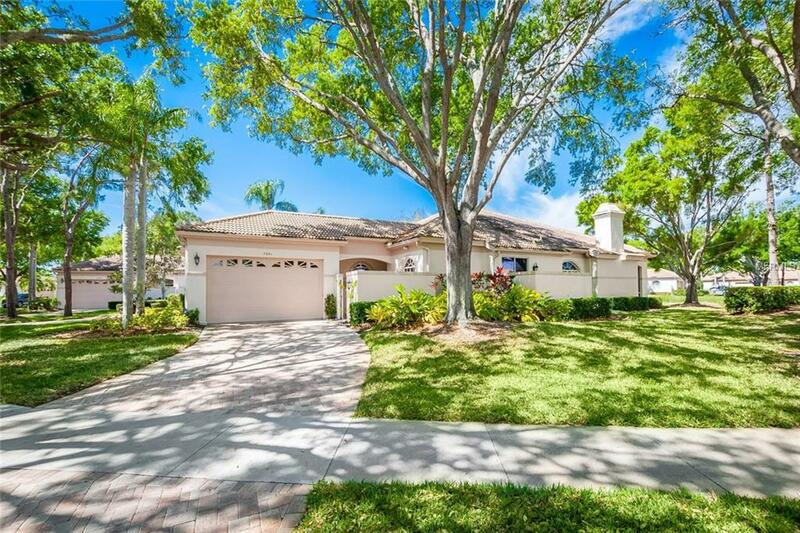 With a five-star location, The Meadows, on 1,650 park-like acres with 14 miles of trails and 80 lakes, is the closest country club community to downtown Sarasota and convenient to cultural activities, beaches, restaurants, entertainment and shopping. A fabulous Florida lifestyle! New tile roof in 2008 and new AC in 2017. Additional Lease Restrictions Lease Must Be At Least 3 Months. Property Can Be Leased Up To Twice Per Year.